This Passivhaus Workshop is being run in partnership with the Passivhaus Trust and is a FREE event! 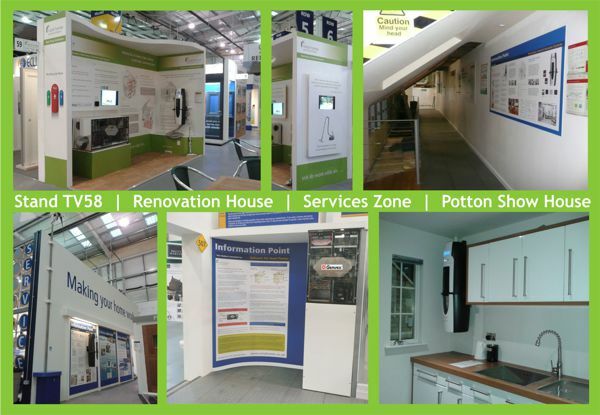 It will be held at the National Selfbuild & Renovation Centre in Swindon. The concept of Passivhaus is to prioritise low energy usage together with high comfort and good indoor air quality in any type of building. We spend almost 70% of our time at home, so buildings play an important part in our health and wellbeing. The most successful and cost-effective way of achieving Passivhaus is by incorporating the standard before your designs are complete. It’s also useful if the Passivhaus elements are included in your planning application. Take advantage of free guidance and ensure you have the right team behind you by meeting Passivhaus accredited experts and suppliers at this Passivhaus Workshop. We will be available as Ask The Experts in the piazza or down Expert Alley with our stand at TV58. Also, on Saturday we will be completing a presentation at 3pm on How to comfortably avoid 'The Cling Film' effect with heat recovery and heat pump ventilation. 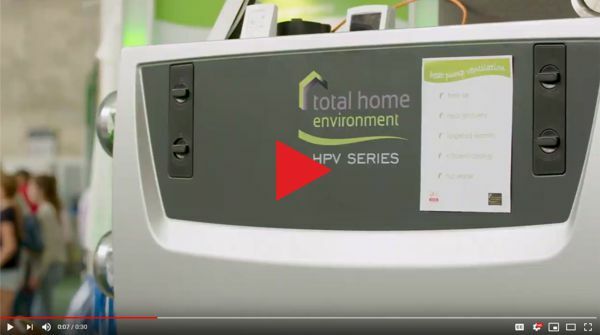 Here we highlight why mechanical ventilation with heat recovery is a must and what to look out for in your house design so that it can be installed to it's best potential as well as zooming in on extra space heating and cooling with the HPV Series. There is a timetable to see whether the event is of interest for Friday and Saturday. Featuring practical workshops, guided educational tours and real life case studies, this is an event not to be missed by anyone interested in Passivhaus. You should register for your free tickets before going. The Build It Live! 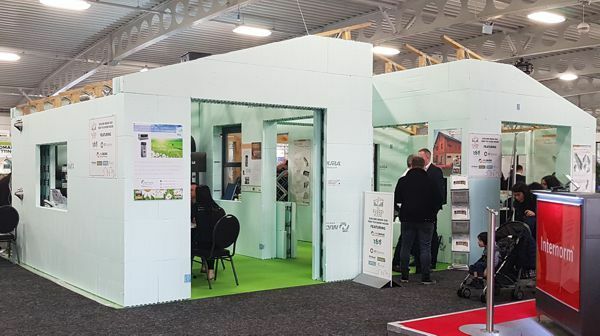 shows are practical self-build exhibitions, taking place annually in three locations around the country and brought to you from the experts behind Build It Magazine. Build It Live! Midlands: 8th-9th June 2019- located at Bicester Heritage Event Centre, Buckingham road, Bicester, OX27 8AL. This show is very near to Graven Hill, the largest self-build and custom-build project of it's kind in the UK so even more exciting if you're still looking for a plot of land in Oxfordshire. There will also be bus tours to the site during the show. Designed to help you find everyday solutions to manage your home building or renovation project, the Build It Live! 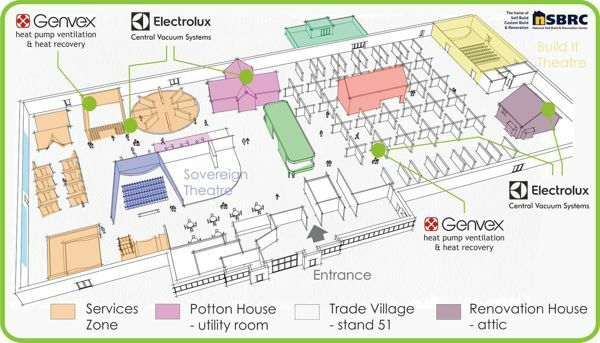 shows offer bespoke advice, hundreds of exhibitors and plenty of products to browse, all in one place. If you want to take advantage of both days there is normally discounted accommodation for visitors. To see just how useful the shows are, click on the picture below for a 30 second video from happy visitors to the previous shows! Remember to book your FREE TICKETS or use code NWEXH329 once on the Build It Live! website. Dream it… Plan it… Design it… Build it! Open all year Tuesday to Sunday, 10am - 5.30pm. Open all year round this department store for self-builders and renovators brings together 67,000sqft of products, services and advice all under one roof. Three day courses, aimed at those contemplating a project covering budget, finance, land purchase, design, specification, building systems, construction methods, planning permission and permitted development, building regulations, trade contracts and tendering, project management, site set up, Eco legislation, eco design, fixtures and finishes. The course covers heating techonologies with air and ground source heat pumps, biomass boilers, heat recovery ventilation with micro heat pumps and solar thermal systems. He'll also talk about heating load design principles and calculations. Previous attendees have saved as much as £18,000 on their projects by following the advice of the Centre lecturers. Click here to book. All course attendies also receive a FREE one year subscription to SelfBuild & Design Magazine worth £36! A one day course covering everything you need to know about managing your own project, including the sequencing, setting budgets, sourcing and managing trades and site preparation and set-up. You need to call 0345 223 4455 to register your interest or book a place, as they are limited. Click here to book online. A one day jargon-busting session covering the basics and going into the detail of each option - the course will help you to make one of the key decisions during your project - which heating system to install (if you need one!) what type of heat recovery ventilation will suit your project and whether installingl solar panels, PV, rainwater havesting will be suitable for your build. You need to call 0345 223 4455 to book a place, as they are limited or book online. All course attendies receive a FREE one-year subscription to SelfBuild & Design Magazine, worth £36! We will be attending the Eco Workshops available for bookable one-to-one, and possibly as part of the Expert Panel, presenting a seminar. So whether the motivation is saving the environment or saving money. A wealth of independent advice and information on the latest energy-efficient technologies, products and services; sustainability, environmentally responsible building principals and retrofitting of existing properties is available. 20 minute slots are also available to book one on one appointments with the 'green team' industry experts. Get FREE TICKETS! - booking is essential as spaces are limited. Design and Build companies work with you to design a home that suits your needs, your budget and your lifestyle, then undertake part or all of the construction giving you cost and programme certainty. Attend this free workshop to find out how it works, your options, how much it costs and how you can benefit. You need to call 0345 223 4455 to book a place, as they are limited or book online. The Royal Institute of British Architects (RIBA) offers chance of a free personal consultation with an architect to discuss ideas for designing and building your own home, renovating or reconfiguring your existing home in a strictly no obligation 25 minute meeting. There is a short presentation at 11am from a RIBA architect explaining what an architect actually does and the added value an architect can bring to a project. It is FREE but sessions are by appointment only - please call 0345 223 4455. The Passivhaus standard is designed to deliver comfort, quality and lower running costs in any type of building. 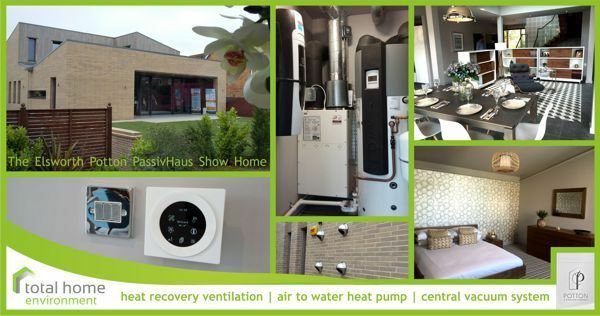 In partnership with the Passivhaus Trust You will learn about how to do this through building orientation to take advantage of the sun, the right insulative fabrics, airtightness principles, wholehouse heat recovery ventilation for good indoor air-quality and screening to prevent overheating. If you are considering selfbuild for the first time or still searching for a plot, then this seminar provides an essential introduction to the process, covering key topics including finding land, designing your home, getting planning permission and how to build a timber frame home. The seminar will also introduce you to working with specialist designers and suppliers of essential aspects such as kitchens and bathrooms. Open all year round this department store for self-builders and renovators brings together 67,000sqft of products, services and advice all under one roof. No longer will you be restricted to particular show dates when you can come and see our products. No longer will you be fighting crowds…you can rent headphones for a guided tour or wander at your leisure. Once you register, you will be given a barcode scanner, to easily request specific information on the products that are of interest to you. Why not bring your architect or builder along as well and whilst relaxing in the café (Open 11am-3pm), discuss the design of your dream home with all the materials to hand? For more information on the links to PLOTSEARCH, LAND4DEVELOPERS and FINANCE click on the banner above. Located just off J16 of the M4 at Swindon, the store is open 10am -5.30 Tuesday to Sunday.Tickets are FREE and if you have any questions you can call the centre on 0845 223 4455. If you would like to spend more time there over a few days, there are plenty of hotels and guest houses nearby. In addition parents can make use of the Kidz About play area. If you're interested in building an energy efficient home and want to find out more a do come and visit this unique house. Potton, the UK's leading self build company has built a new show home which is built to PassivHaus standards on their show site in Cambridge. It's open to the public Tuesday to Saturday. To see a time lapse of the build up until this point, please click here. low grade electric underfloor heating - the controllers for the bathroom, ensuites and 1m strip adjacent to the patio doors. More informaiton on our products should be available in the conservatory of the Caxton.